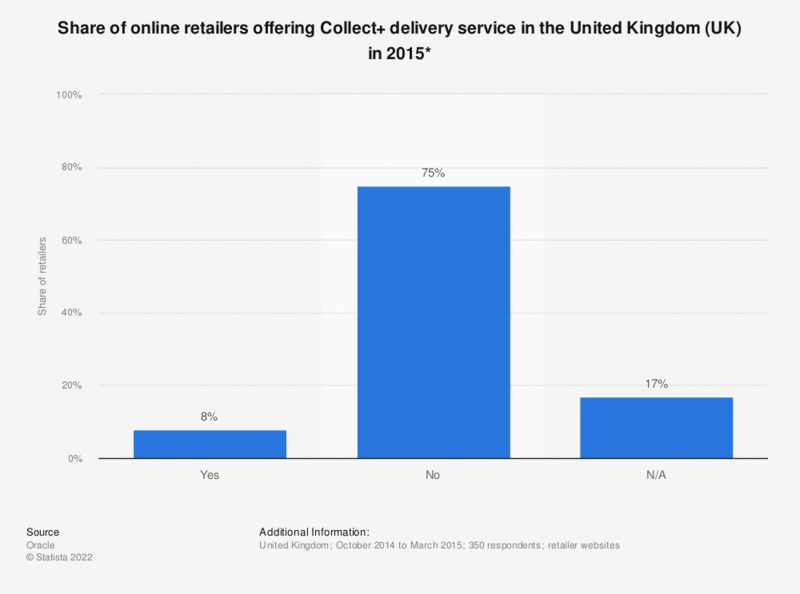 This statistic displays the share of leading online retailers offering collect+ service in the United Kingdom in 2015. Of retailers that year, 8 percent offered this option. * Collect+ delivery service is a service that allows retailers to deliver to 5,000 outlets across the United Kingdom, usually corner shops. It can also be used by customers that want to return items to a retailer.